Production Time: 50 business days - This is a dual purpose spring loaded plastic click pen featuring a soft stylus tip for your mobile device. 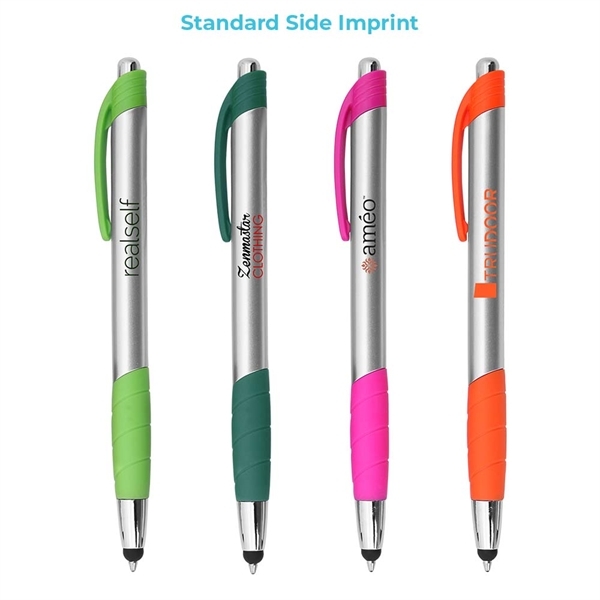 This pen comes with a full color side imprint as the standard imprint area. Eight matching color clips and rubber grip make a nice accent against silver barrel to brighten any promotion. The Aventura is a medium ball point black ink pen. Price Includes:one color wrap imprint.